CodesPlus -- The ICC Product Registration Site: Thank you for visiting CodesPlus, the ICCâ€™s product registration home page. Registration provides you with the following complimentary ICC-exclusive benefits directly associated with your purchased product(s). Complimentary benefits become available for download upon completion of the initial registration process and include:. How it Works: After you have registered your product(s), you can select to receive any of the available CodesPlus product registration benefits. As additional benefits become available, they will be automatically e-mailed to you to download free of charge. Registration is simple and quick. 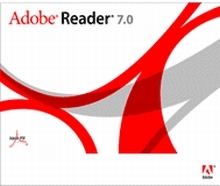 Download Adobe Reader - In order to read any of your benefits you must have Adobe Reader installed on your computer. To install the Adobe Reader, visit Adobe's web wite at www.adobe.com and select the language version you wish to use.